We asked readers of our blog to send in their five favourite tracks/albums of the year. A big thank you to all those who sent theirs in. And sorry for the delay in putting them up, I forgot the login passes! Here’s hoping 2015 will be a great year for music and may la lotta continua. 2. Richie Hawtin: Enter 2014 – not really a track it’s the name of his sets in Ibiza. Very late in the day the genius that is D’Angelo delivered the collection of songs he has featured in a couple of European tours on 15 December. ‘Black Messiah’ is a portentous and somewhat pretentious title, which nevertheless delivers the kind of sublime musicality that no amount of corporate hype can corrupt. ‘Another Life’ is currently my fave track. Apart from Pharell Williams’ ubiquitous ‘Happy’, which I thought was brilliant pure pop, gotta be something by The Sleaford Mods. From Nottingham record stores & Rough Trade London gigs via various Euro festivals to opening slots on the recent Specials tour and Manhattan club gigs, ‘Tiswas’ is a great video as well as typically acerbic lyric. Should be massive in 2015. Gotta be Snarky Puppy who I had been dying to see live, regretting having not listened to them in previous years because of their goddamn stupid name! Four gigs this year showed how without vocalists, showy stagecraft or pop tunes a fiercely talented repertory company of ace musicians can keep your ears and toes busy, to the point of many anthemic riffs echoing back from audience throats at every gig. On top of that they tour relentlessly but also do outreach/educational work wherever and whenever possible. It is hard not to rave about leader/writer/bassist Michael League’s infectious joy and determination. They won a Grammy to boot at the start of the year. No new release this year but two projects lined up for release early in 2015. Look out for those. Drummer Chris Dave at Ronnie Scotts was a real treat. The Meters’ bass player George Porter at The Borderline with his quartet was fun. But the surprise was Lalah Hathaway’s set at the Love Supreme festival in July down in Sussex. She is a supreme vocalist with a great band. This clip is two years old but captures just how she won over her tented audience on the south coast. Looking forward to the same festival 2015. Highly recommended. 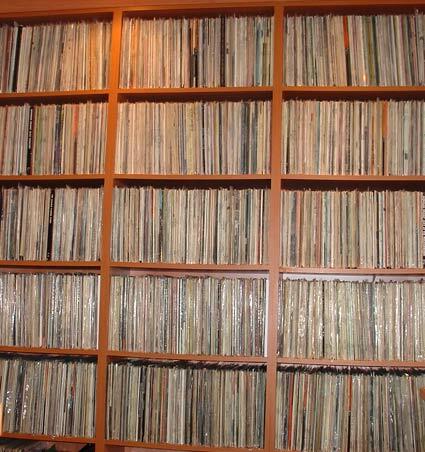 Chloe and Shaun are school students who have begun collecting records – these are their favourites. A four CD collection from Louis Vega and Kenny Dope. If you like your house well produced with soulful vocals, this is the one for you. Wonderfully direct and honest music from an outfit that give the impression they completely understood folk music from about half way through the first song they ever heard. But didn’t care. Dead Belgian play the music of Jacques Brel and this is a great offering from a band growing in confidence and stature all the time. It will be interesting to see where they take it from here. Not from 2014 but I only heard it this year when I took up the gourd banjo. This is an album of gourd banjo music – one of the most primitive of instruments it’s played here with breathtaking lightness of touch and musicianship. I thought this recording just aches with power, it made me think of lightening on the horizon when you are watching from the coast. A belated cheers for the tip-off Paul, managed to hear that show just before it came off iplayer. Jason comes across well. What a breath of fresh air these have been. Off to see them in Camden tomorrow night , can’t wait.